We are an eminent Manufacturer, Supplier and Exporter of Magnetic Base UL-50401 Series from Maharashtra. 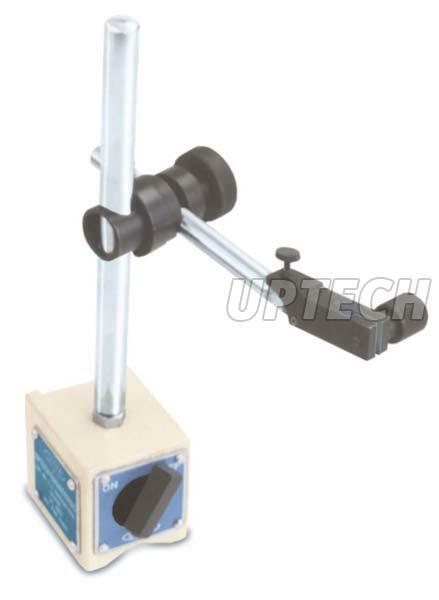 Our Magnetic Base is used as holding device for dal indicator. It comes with fine adjustment for accurate settings. Buyers are free to place bulk orders of the Bases with us and we ensure their timely execution. Base "V" can be clamped to shaft of Ø 20 to Ø 120. Fine adjustment for accurate settings. Powerful magnetic base holds firmly to ferrous surfaces vertically, horizontally, upside - down.